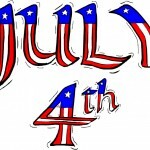 Surfnetkids » Independence Day » History » Why Do We Celebrate the Declaration of Independence? Why Do We Celebrate the Declaration of Independence? The United States of America celebrates their independence on the fourth of July each year to commemorate its separation from England. Most people know that, but why we celebrate the Declaration of Independence and why its so important they may not know. Here is a closer look at why we celebrate the Declaration of Independence. Imagine if you will, for a moment what it might be like to always have someone else telling you what to do, where and how to live, and especially what to wear? How would that make you feel? Somewhat childish and a bit rebellious I presume. You may even find yourself doing absurd things to make your point well known that you were not going to be ruled by someone else; after all, it is a free country. Well, before the Declaration of Independence it wasn’t a free country, and colonists felt angry toward Great Britain for always imposing taxes on them and basically telling them how they should live. They no longer wanted to be under British rule and so began starting to make their own government and rules. The Continental Congress met in Philadelphia, Pennsylvania and appointed a committee of five men to work on a draft of the declaration. The committee is known today as The Committee Of Five. The committee consisted of John Adams, Benjamin Franklin, Thomas Jefferson, Roger Sherman, and Robert R. Livingston. Thomas Jefferson was delegated by the committee to singly write the Declaration although Adams and Benjamin Franklin made many revisions before it was finally submitted to Congress on June 28, 1776. The Declaration of Independence was adopted on July 4, 1776 and signed by the President of the Continental Congress, John Hancock. So the main reason why we celebrate the Declaration of Independence on the fourth of July is because that was the day it was adopted by the colonies and essentially the day that the United States of America was born. That was the day in history that the United States became a free and independent state from England. At first glance the Declaration of Independence is just a piece of paper signed by fifty six men who knew that they could quite possible be put to death for treason; it is a symbol of what America stands for and a commitment to certain ideas. The Declaration of Independence is a moral document and laid the foundation for the Bill of Rights and the Constitution. Let’s take a closer look at some of those crucial aspects of the Declaration. • “We hold these truths to be self evident, that all men are created equal”?- It’s interesting that this became part of the Declaration of Independence during a time when slavery was in full force. Thomas Jefferson himself owned hundreds of slaves as did many of the signers of this declaration, yet they could not deny its rightful place in the Declaration. It is largely due to this declaration that the emancipation of the slaves came to be and later, they too were given the right to Life, Liberty and the pursuit of Happiness. • “that they are endowed by their Creator”?- The forefathers believed in the creator and in a supreme being having more than just a “say”? in how the government should be run. They knew without a doubt that God had intended men to be free. • “with certain unalienable Rights”?- While the Constitution was created to protect the rights contained in the Bill of Rights, the Declaration tells us the source of our inalienable Rights. As the forefathers prepared and adopted this declaration they knew that our rights came directly from god and no form of government could take those rights away. Government was only put into place to protect those rights. 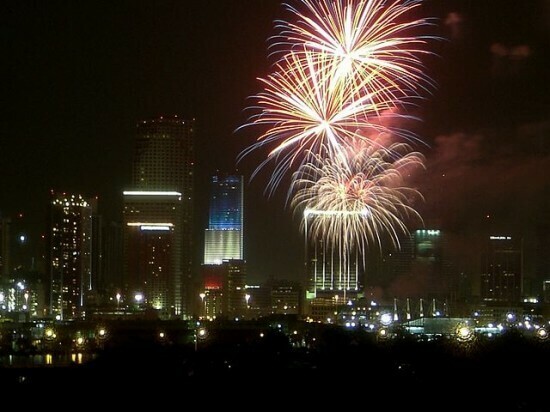 So why do we celebrate the Declaration of Independence? 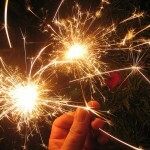 We celebrate it because it is symbolic of the courage those fifty six men had in signing and committing an act of treason against the British King; we celebrate the declaration because it was on the fourth of July that it was adopted and gave birth to a new nation, a free and independent nation from oppressive rule and tyranny. "Why Do We Celebrate the Declaration of Independence?." Surfnetkids. Feldman Publishing. 22 May. 2008. Web. 21 Apr. 2019. 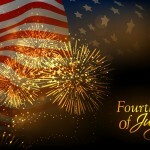 <https://www.surfnetkids.com/independenceday/262/why-do-we-celebrate-the-declaration-of-independence/ >.